One of the trickiest aspects of customer service is dealing with complaints. It’s less about resolving the complaint, which is relatively simple, and more about ensuring your customer feels heard by the end of the process. Often customers feel their complaints have been dumped in the round file, never to be heard again. Browser-based push notifications, however, can help you both to guide your customer through a complaints process and make sure they’re being heard. 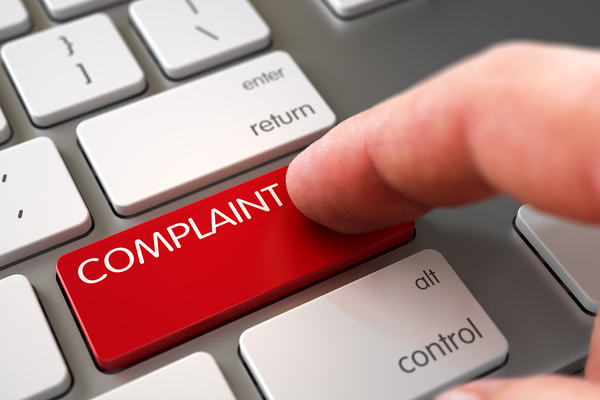 It’d be nice if we never got one, but complaints are a part of any business. Push notifications are wonderful for communicating one clear, urgent idea. And that is, as any veteran customer service representative can tell you, more or less the entire customer service process—whether a customer is calling to figure out what happened to an order or has a question about a product feature. This is an example of what’s called an informational push. These are notifications that are quick, useful bits of information that are sent to your customers and usually automated in some form. Automation is a particularly handy tool here because it keeps your customers up to date on what’s happening, right when it happens, and gives them a useful throughline to follow for their ticket. Informational push is useful on its own, but it also has an important psychological aspect. Customers are often very frustrated at “black boxes,” systems where you enter an input and that spit out an output without any understanding of why. How much they dislike these systems depends heavily on how and where they interact with them, but there’s always some degree of frustration. By offering logical, useful information, you can fight this frustration. Unhappy customers can still be an opportunity. To start with, find where push notifications fit. As browser-based push notifications are opt-in, this should be just one tool your customers can use, along with channels like email, to discuss and track complaints. Push notifications are especially useful for customers who are on the road quite a bit, or if you have a heavily automated complaints system. You can even use them internally, if that system is automated, for your remote workers and employees who have other things to keep track of in their email. Next, you should look at your current complaints system. Every company handles this issue differently. If you already have a personal touch, it may simply be a matter of confirming the complaint was received and pushing the name and information of the customer rep who will get in touch with the customer. If your system has points where you can automate an alert, however, such as somebody reading the complaint, or a replacement product being sent, these can be ideal to set up alerts for. Think carefully about what information your customer needs and wants; they probably need, for example, the ticket number, but not the names of everyone who touched the ticket. And in some cases, you might even want to offer personal push, depending on your customer service structure. If your “concierge” service, for example, has the time to personally send alerts, then you should add the option. Want to see how push can make for happier customers? Sign up for a live demo of Pushnami!